The Mavic Air is the most portable DJI drone to house a 3-axis mechanical gimbal, with its angular vibration range reduced to 0.005°. Set in a triangular formation, gimbal dampeners help create even steadier shots. It is incredibly compact so you can take it everywhere. In addition to Horizontal, Vertical, and 180° panoramas, the Mavic Air stitches 25 photos together in just eight seconds to create crystal-clear 32 MP Sphere panoramas.1 View them from an immersive perspective with DJI Goggles. The Mavic Air shoots video at an incredible 4K 30 fps, recording at 100 Mbps to capture every second with UHD quality. With support for recording 1080p 120 fps slow-motion video, the Mavic Air captures all your epic high-speed adventures. New HDR algorithms help you obtain the right exposure settings intelligently, according to lighting conditions. Overexposed or dark areas are processed for more natural transitions between highlights and shadows, while DSP acceleration allows for more efficient shooting. 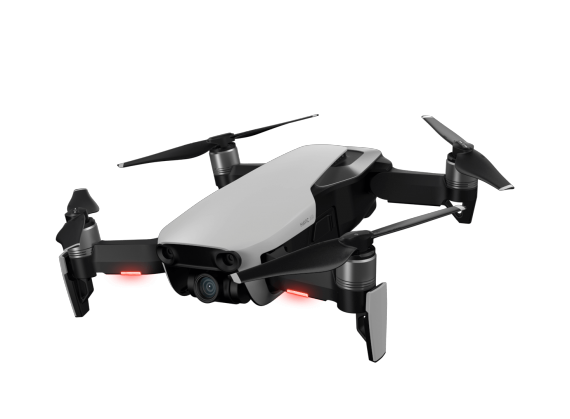 The Mavic Air’s onboard camera integrates a 1/2.3”12-megapixel CMOS sensor and an f/2.8 lens with a35-mm equivalent focal length of 24 mm to shoot high-quality photos and videos. 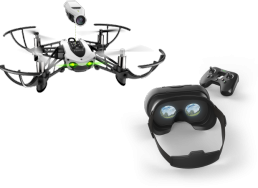 Feel the rush and thrill of first-class drone flight with top speeds of 68.4 kph4 in Sport mode5. A new Wi-Fi video transmission system supports dual frequency bands of 2.4/5.8GHz6 and a 720p live view from up to 4 km away7. 1. The sky above the camera cannot be captured due to the gimbal’s limited tilt range. Instead, the sky is automatically generated using a zenith patching algorithm. 6.Can I connect my smartphone to the remote controller using an ordinary USB cable? 7.Where can I find the Mavic Air’s Wi-Fi name and password? For safety reasons, every Mavic Air has a unique Wi-Fi name and password. These are listed on the side of the aircraft body, in the battery compartment, and on the carrying case. (For iOS systems, iOS v9.0 or later is required.) Connect your smartphone to the aircraft’s Wi-Fi by scanning the QR code with DJI GO 4 app for first-time use. Alternatively, you can manually type in the Wi-Fi name and password. 8.How can I change the Mavic Air’s Wi-Fi name and password? 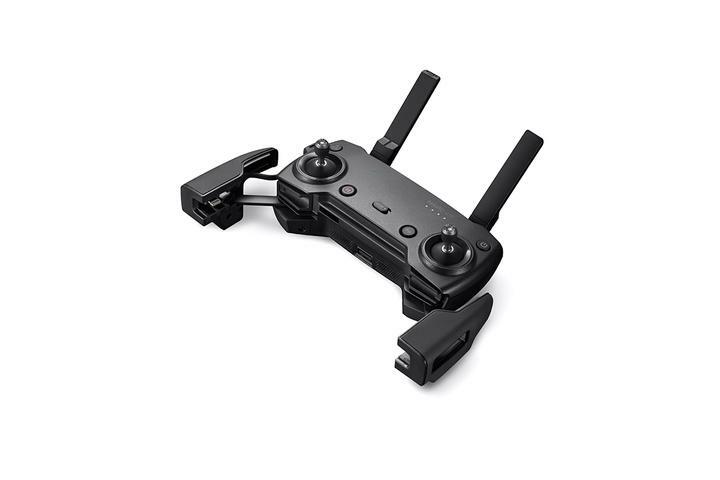 9.Is it possible to connect to the Mavic Air’s Wi-Fi by using a third-party app to scan the QR code? 10.What is the maximum control range of the Mavic Air in SmartCapture? 11.What Panorama modes does the Mavic Air support? The Mavic Air supports the following panorama modes: Vertical: The camera automatically takes three vertical photos, stitching them into one panorama. Horizontal: The camera will take nine photos from different angles, stitching them into one panorama. 180°: The Mavic Air automatically rotates its body and gimbal shooting 21 pictures, stitching them together in DJI GO 4 for a breathtaking 180° panorama. Sphere: The Mavic Air automatically rotates its body and gimbal to shoot 25 photos, stitching them together for an eye-catching spherical panorama. 12.When flying the Mavic Air close to me in SmartCapture mode, why does the aircraft remain at eye level?